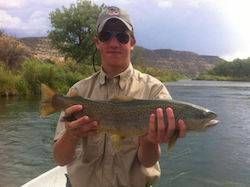 Float 'N Fish Fly Shop and Guide Service was established on the San Juan River below Navajo Dam by Ray and Wanda Johnston in 1997. 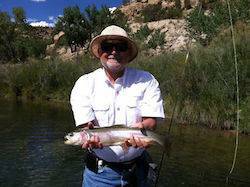 Ray is a fourth generation and lifelong resident of San Juan County, NM. 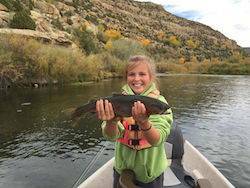 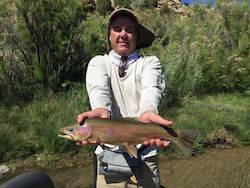 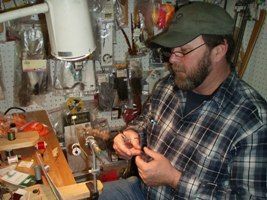 With fly fishing as a family heritage, Ray began fly fishing and fly tying at a very early age. 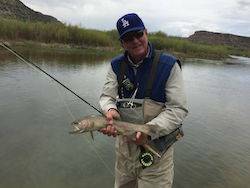 Ray began commercial tying exclusively for the San Juan River as a teenager for a little bait shop in Aztec, named Handy Bait and Tackle. 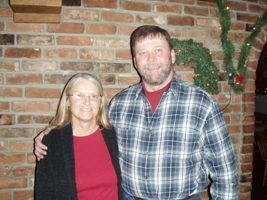 Ray and Wanda met in the mid 1980's and have been fly fishing and tying partners ever since. 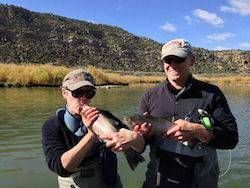 While spending 22 years in the construction, ranching and horse businesses, Ray and Wanda continued fly fishing and developing fly patterns for the ever changing tail water below Navajo Dam. 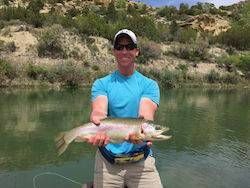 With the love of the sport of fly fishing and the San Juan River, Ray and Wanda's dream was to build a world class Fly Shop and San Juan Guide Service on the world renowned San Juan River. 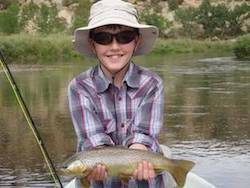 It's taken a few years to achieve our dream and to truly say we are a world class Fly Shop and Guide Service on the world renowned San Juan River.